The Australian Consulate in Honolulu is located close to the Malaysian Consulate in Hawaii and also close to the Dutch Consulate in Honolulu. The Australian Consulate services all Australians located in Hawaii. See the main listing for the regions each Consulate does on the Australian Embassy in Washington page. Note that this Consulate is very limited in what it can do. The Australian Consulate does not provide an Australian visa service. They do provide consular services but this is limited to arrest and detention, medical emergency or natural disasters only. 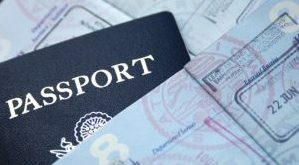 Also take note that the Consulate provides emergency passports for those who have lost their passport while on holiday. Australia and Canada the Consulate-General provides an emergency passport and consular service to Canadian nationals. A similar service is available to British citizens. The Consulate only accepts Cash and Money Orders for passport applications. Responsible for consular services, including passports services, in the State of Hawaii.